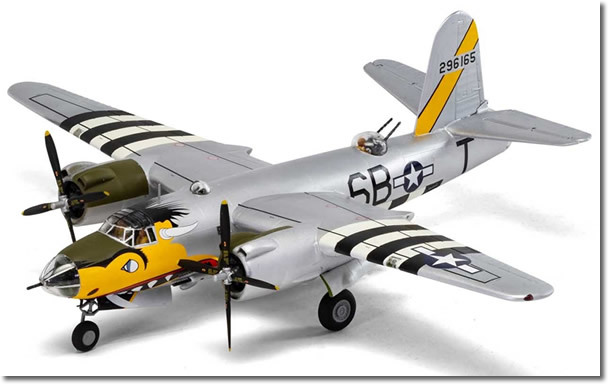 Airfix models release the WW2 Martin B 26B Marauder in 1/72 scale. Overcoming a challenging service introduction due to its relatively high landing speed, the Martin B-26 Marauder went on to be regarded by many as the finest twin engined medium bomber of the Second World War, boasting some of the lowest combat loss rates in the US 8th and 9th Air Forces. 1 of 2 Schemes can be made.